St. Patrick’s Day is just a wee bit away. Even if you’re not a redhead with the last name O’Sullivan, chances are you’ll be celebrating like you are one. But you don’t have to do so at a faux-Irish pub filled with dudes wearing fake beards and Green Man suits. You can do it at an authentic Irish pub filled with dudes wearing fake beards and Green Man suits. 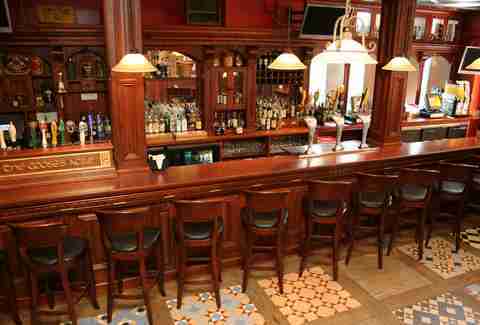 Like one of these fine Irish boozers in Houston. With handsome leather furnishings from the Old Capital Club of the original Rice Hotel, this duo of Irish-owned and -operated bars is a throwback to nicer pubs in Dublin. Do they have corned beef Reubens the size of Texas in Dublin? Whatever. 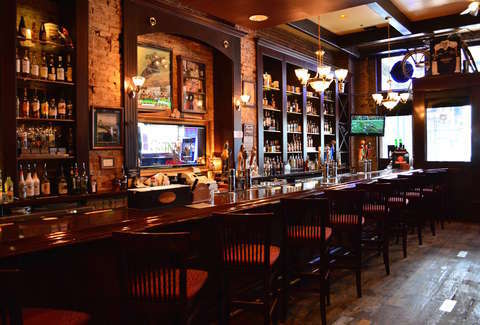 Hit the quaint McElroy’s for dart tourneys, pints of Guinness, and a totally chill outdoor beer garden; or head to downtown’s Shay McElroy’s to cozy up with whiskey in a private “snug” and sip draughts at the rich, intricate, 19th-century bar shipped straight from the motherland itself. 50% live music venue, 50% Irish pub, 150% guaranteed good time... we’re pretty sure that math is right. 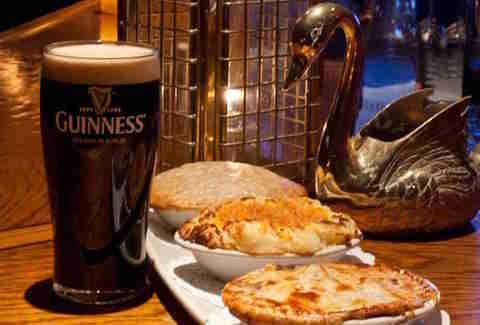 Hit the Mucky Duck to quench your thirst with the best pour in Houston (it has a Guinness trophy to prove it) while you take down Welsh rarebit, Irish beef stew, and fried gulf shrimp tacos -- which, admittedly, aren’t Irish at all. But this is Houston. What did you expect? Perfect pours and Chicago-style thin crust bar pies are the name of the game at this real-deal pub, which has been serving loyal patrons all of the above since 1983. The stellar Irish whiskey runs the gamut, from Bushmills Black Bush to Tullamore Dew 10 Years Old single malt. You may need a swig or two to keep up with the St. Paddy’s Day crowd. The all-day Irish rager will host live rock, bagpipers, step dancers, and traditional eats like corned beef and Guinness bread. You may not think a pub across from a Whole Foods will give you any kind of legitimate Irish experience. But you’d be wrong, fella. This one’s owned by a dude from Dublin, who named the bar after his father’s '70s era Dublin public house. As such, you’ll find one of the creamiest pours of Guinness, plus proper Irish bar snacks, a roster of the finest Irish whiskey, and a steady European crowd amping up the night’s shenanigans. Dark, dingy, and narrow, this Downtown watering hole is everything an Irish pub should be. The crowd is super-welcoming -- even more so after a few pints. But perhaps the coolest part is that it’s rumored to be haunted by a lady ghost who chills in the bathroom. The building dates back to 1890, so it’s not entirely outside the realm of reality, right? RIGHT? If Dublin and Houston had a baby, it’d be this ramshackle neighborhood bar & patio that’s equal parts local and Irish. 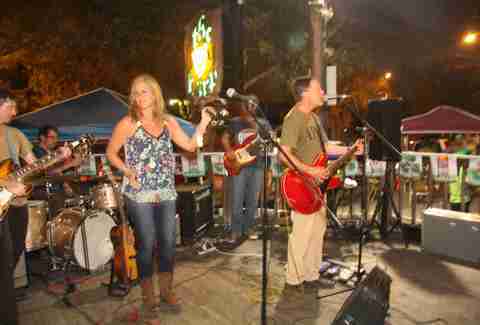 It may not be pretty, but with traditional Celtic music, a friendly pack of regulars, and things like crawfish boils, trivia night, and an all-out St. Paddy’s Day bash, it never fails to deliver a pretty good time. Open since 1965, this Boston/Ireland/Houston hybrid hosts one of the biggest St. Patrick’s Day parties in town. It also has its own damn army. Cleverly named GRIFF’S ARMY, the crew meets at the dive to get the party started before taking a party bus to major events, from Rockets and Astros games to the Texas Renaissance Festival and Mardi Gras. If that much dedication to the pregame isn’t Irish, we don’t know what is. What’s better than an Irish pub whose building materials are straight-up shipped over from a century-old pub in Ireland? An Irish pub whose materials are straight-up shipped over from a century-old pub in Ireland that you can bring Branduff McGrady and Addergoole to. Sick dog names, by the way. While the bistro side of things may not be the most authentically Irish (there’s mozzy sticks and “Irish nachos”), you can still get a perfect pour of the black stuff that will transport you right over to the Emerald Isle. Transport yourself back to the 1930s, when Irish-born heavyweight boxer Jack Doyle crossed the Atlantic to make a name for himself as a Hollywood actor. 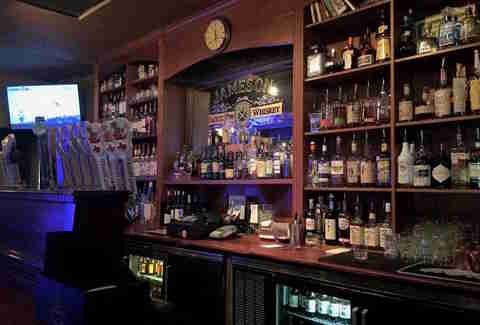 This classy spot brings a charming old-world vibe to the traditional Irish pub through sophisticated decor, an all-Irish management team, and a solid lineup of tinctures, from Irish whiskey and Scotch to craft beers by the bottle and tap. Because if there’s one thing all good Irishmen know, it’s good booze. Brooke Viggiano is a Houston writer who will most definitely be wearing a fake beard and Green Man suit this St. Paddy’s Day. Hit her up for a blather @BrookeViggiano.